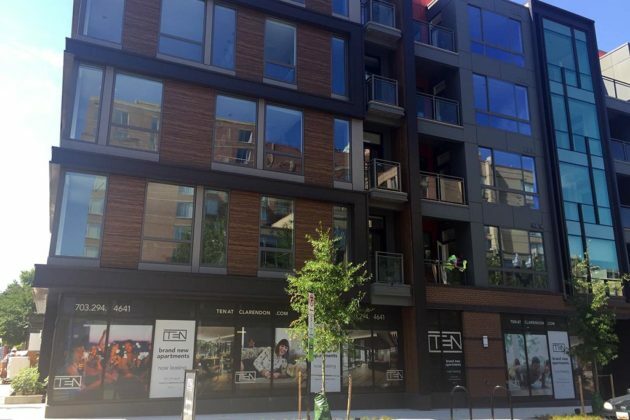 Construction is expected to be complete this fall at 3110 10th Street N.
Construction at luxury apartment complex Ten at Clarendon will continue until September, but prospective renters can now tour apartments with the use of virtual reality. 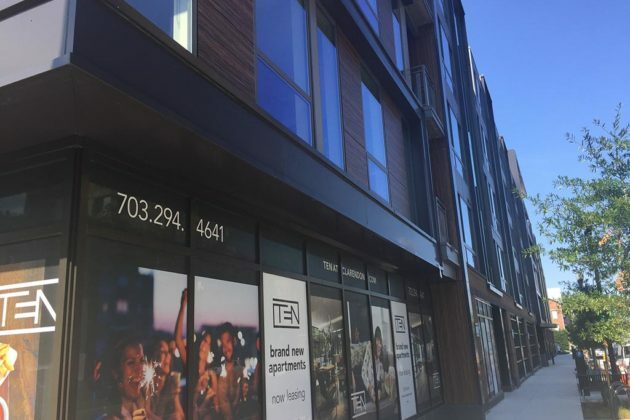 In a partnership with Immerse Virtual Reality Nation, developer CRC Companies is launching a fully immersive virtual reality apartment tour of the new apartments at 3110 10th Street N. The 143-unit complex is expected to be completed this fall. Using an HTC Vive headset with two motion sensors, residents can experience a realistic, 360-degree home tour of what their apartment will look like after construction. IVR Nation is a company entirely dedicated to partnering the hospitality industry with virtual reality. CRC plans to incorporate IVR technology into other company projects, such as during the architecture design process. 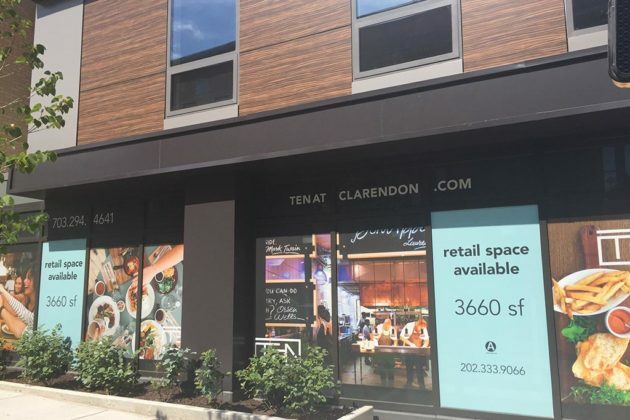 “We are excited to employ IVR’s virtual reality technology and allow prospects to gain a unique preview of the Ten at Clarendon as we prepare to deliver the project to this coveted Arlington neighborhood,” said CRC Companies senior development associate Oliver Lee in a statement. In addition to virtual reality tours, other new features in the apartment complex will include keyless apartment entry, mobile-controlled thermostats and a video intercom system. Apartments at the new building are currently available for new tenants under pre-lease.